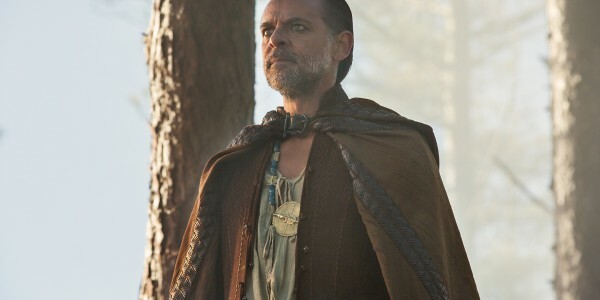 Fox’s Gotham has cast Alexander Siddig as Ra’s al Ghul, according to Variety. Siddig is best known for his roles on Peaky Blinders, Star Trek: Deep Space Nine, and Game of Thrones. Ra’s al Ghul is the leader of the League of Shadows aka the League of Assassins. He first appeared in Batman #232’s “Daughter of the Demon” in 1971. He is considered by many as one of the most enduring enemies of Batman. His name translates to “The Demon’s Head.” He even eventually became the grandfather of Damian, Batman’s son. On Gotham, Bruce (David Mazouz) will discover that Ra’s al Ghul is the man behind the Court of Owls. Ra’s al Ghul is known for using his deceptive nature to gain the upper hand over his enemies. The character was previously played by Liam Neeson in Batman Begins and The Dark Knight Rises, and throughout the third season of Arrow, portrayed by Matt Nable. Siddig will be appearing as Ra’s al Ghul on Gotham later this season, with no specific episode named at this time. Fans will just have to tune in when Gotham returns April 24.